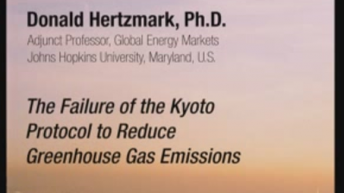 Donald Hertzmark is adjunct professor in global electricity markets at Johns Hopkins University. He is an international energy specialist with more than 25 years of experience in oil and gas economics and analysis. He has worked for governments, private companies, state enterprises, and international organizations in more than 90 countries worldwide to assess markets and projects, provide counsel for energy sector restructuring, design and evaluate energy programs and projects, identify sources of financing, and price energy products. He has assisted clients in assessing and financing LNG, pipeline, refinery, and power plant investments in Asia, Europe, South America, Africa, and the Former Soviet Union and has negotiated contract terms with offtake purchasers, fuel suppliers, and banks. Hertzmark also has worked extensively in upstream contracts and strategy, assisting both producers and governments on contract terms, regulations, and sectoral restructuring. Recently, Hertzmark has assisted clients seeking to construct and operate power and gas facilities in South Korea, Mexico, Taiwan, Nepal, Indonesia, and Southern Africa and has assisted clients regarding energy-related environmental issues in China and Mexico. He has taught short courses on energy project development, energy economics, and project investment evaluation to the staffs of the World Bank, Asian Development Bank, and African Development Bank.